When it comes to flooring options, there are many myths surrounding flooring tiles. If you’ve avoided stocking this material in favor of hardwood, ceramic, and even laminates, then it may be time to take another look at the beauty and durability of porcelain. Before you place another order for flooring materials, here’s what you really should know about porcelain tiles. This really is not an accurate statement. The only thing these two products share in common is that clay is the primary ingredient. The fact is that porcelain tiles also include feldspar or quartz sand to make them stand out. You can expect the porcelain tile to be harder and provide you with more design flexibility. Even the clay that serves as a base is different from the clay used in ceramic tiles. When crafting porcelain tiles, manufacturers choose a more refined clay that’s been purified prior to use. One of the great features of porcelain tiles is that, like natural stone, the color goes all the way through the tile. This means that scratches aren’t quite as noticeable. It’s important to remember that some tiles are glazed. In this case, there may be a highly polished top coating that will have a slightly different color from the main body of the tile. On the other hand, through-body porcelain tiles have the same composition throughout the tile. They’re typically unglazed, but they may be polished or honed for a shiny top finish. Both tiles are highly durable and can be used in a wide range of applications. One common complaint with ceramic tiles is that the colored surface can become damaged, allowing the tile itself to be harmed by water and stained. However, this isn’t really a concern with upgraded porcelain. These tiles use special porcelain clays and are fired at higher temperatures for greater durability. They’re harder than ceramic, denser, less porous and less prone to damage. You can use them with confidence in all types of areas, including the bathroom, kitchen and even your front porch. People mistakenly believe that only wood, stone and concrete should be used outdoors. However, the fact is that porcelain tile can be used outdoors because they have excellent resistance to water intrusion. They don’t absorb water, so they can be used around the pool deck, on the patio, or as a walkway around the house. Encourage your clients to install them directly over concrete patios for a fresh look that’s easy to care for. There’s a misconception that porcelain won’t work in high traffic areas like foyers and businesses. This simply depends on the tile quality and wear rating. All tiles come with a PEI rating from the National Kitchen and Bath Association. Anything with a PEI or 4 or 5 can easily be installed in commercial area, kitchens, and other spaces that see a good deal of foot traffic. If your customers have expressed interest in beautiful colored tile that can handle the additional use and abuse, then you may want to highlight this simple feature on your displays. This one goes back to the belief that porcelain tiles are prone to staining. When materials are resistant to water, they’re easier to clean. In general, you can wipe up spills with some hot water and a soft cloth. A bit of diluted vinegar is ideal for removing stubborn stains, or you can clean the entire floor with steam. You can use most household cleanser on them, and it’s easy to leave them shining and looking great. This is why porcelain tiles are being used successfully in everything from residential kitchens to hotels and resorts. Your customers can choose the colors they love, and you can keep a stock of contrasting and coordinating grout shades on hand for their convenience. When it comes to determining how green an option is, there’s more to consider than just the original source. Porcelain is actually a very eco-friendly building material because of its lifespan. While other products can fail after a decade or so, porcelain will last for 50 years or more. Glazes are generally water-based now, and that eliminates concerns about off-gassing. If you’ve been leaning towards bamboo or another material based on the environment, then you’ll be pleased to know that the incredible durability of porcelain makes it a top choice. When choosing your stock for the coming year, take a closer look at porcelain options. 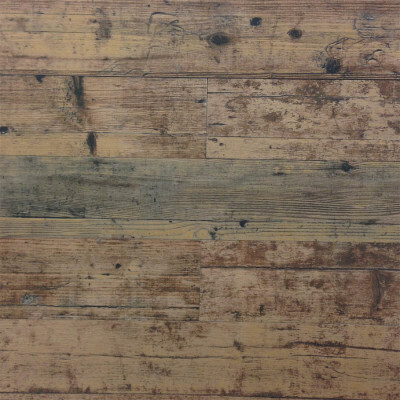 You can provide your clients with materials that look like wood while providing them with the durability of porcelain. These tiles are also crafted to look like natural stone, granite, and marble. You can stock a range of shades from pure white to onyx black, and your customers will love having so many options to choose from. Your customers will love how easy porcelain can be on their budgets, and you’ll be able to reassure them that this material will suit their needs perfectly. Nalboor Tiles is more than happy to offer you a free sample. Call us today at 305-501-4548 or contact us online.